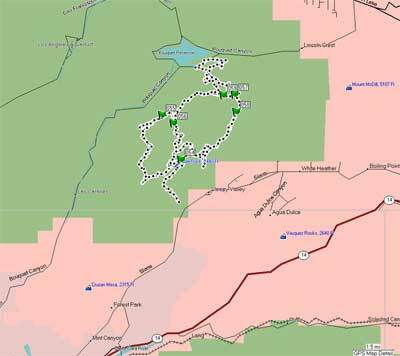 Rowher Flat OHV area is located approximately 10 miles north of the town of Newhall, CA. Take the Antelope Valley Freeway (Hwy. 14) and exit at Sand Canyon. Go north on Sand Canyon to Sierra Highway and turn right. Take Sierra Highway approximately five miles to Rush Canyon access Road. Look for the Rowher Flat sign on the left-hand side of the road. Angeles Forest North of San Fernando Valley more info coming soon! Rowher Flat is open to motorcycles, ATV’s and 4-wheel drive vehicles. No stopping, unloading or OHV riding is permitted on the Rush Canyon access road. Restrooms are available. Spark arresters, mufflers (4WD’s) and a valid registration are required for all vehicles.